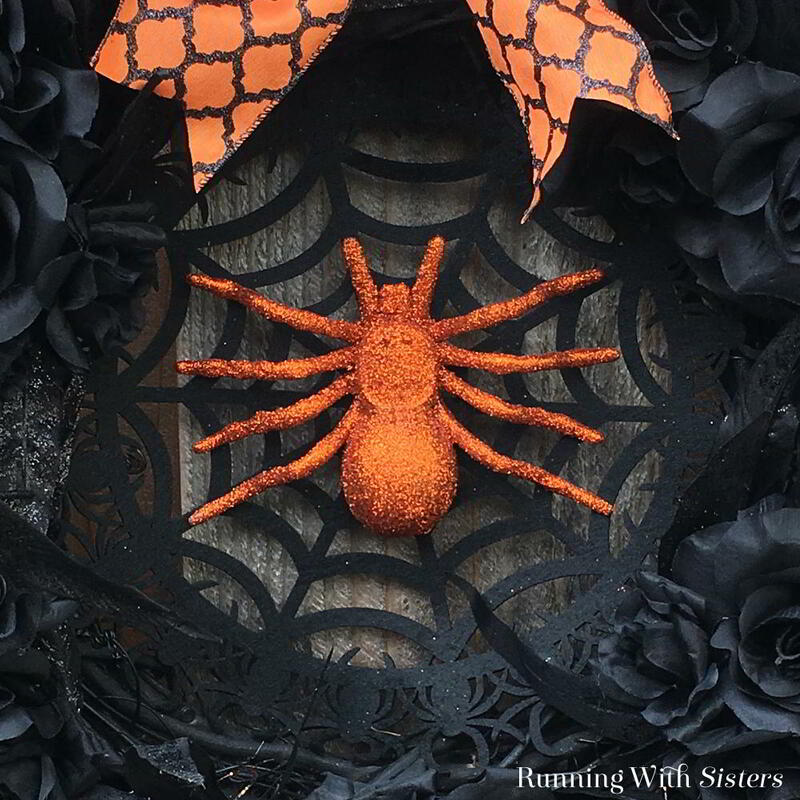 When we spotted a die-cut spider web placemat at the craft store, we just knew it belonged in the center of a wreath. 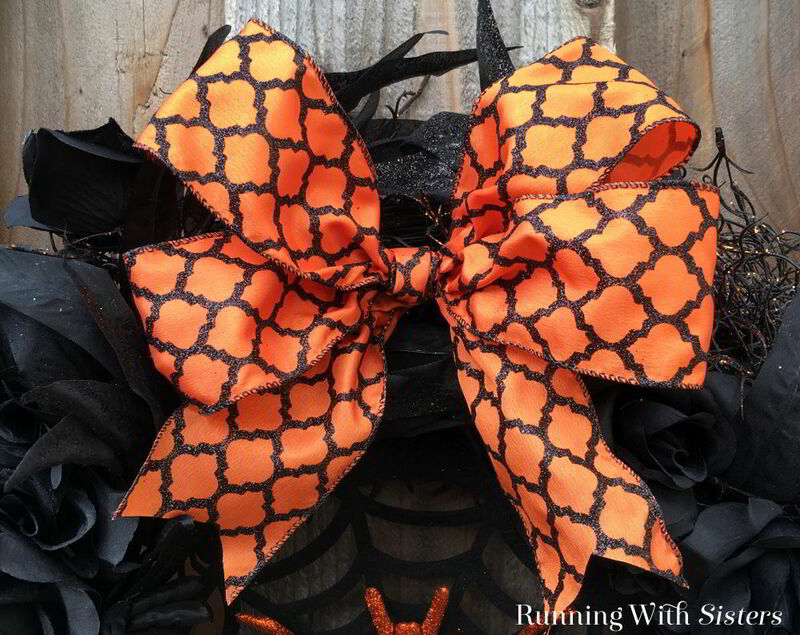 Perfect for a Halloween Spider Wreath! 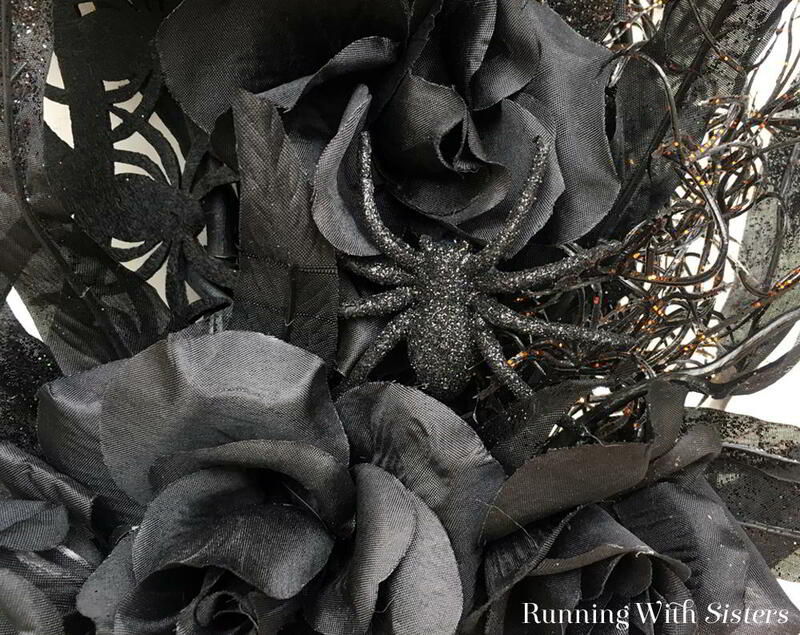 We decided to go glam with shimmery faux feathers, black silk roses, and a sparkling orange spider. Then we topped it with a glittery quatrefoil bow for a modern touch. Creepy chic! 1. Spray paint the grapevine wreath black and let dry. 2. Lay the web placemat in the center of the wreath and secure it by wiring the edges to the wreath. Wire the spider to the center of the web. 3. Snip the feather picks and spooky vine picks apart with wire cutters. Hot glue clusters of spooky vine to the wreath, focusing on the outside edge. Then hot glue the black feathers on top so they stick out every which way. 4. Snip the roses off their stems. Hot glue them to the wreath, tucking them down into the bed of black feathers and spooky vines. 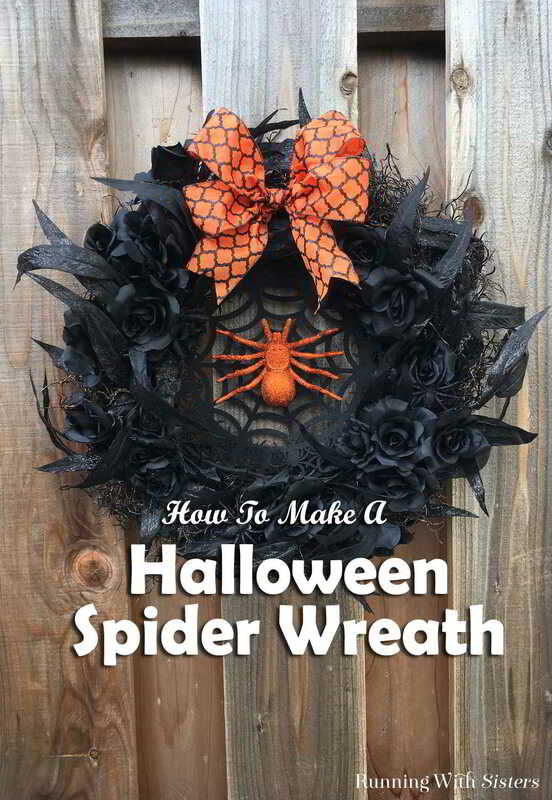 Nestle the black spiders into the wreath (like they are crawling around! ), then hot glue in place. 5. Tie the wired ribbon into a double-looped bow and trim the ends in a “V”. Hot glue the bow to the top center of the wreath. Ta-da! 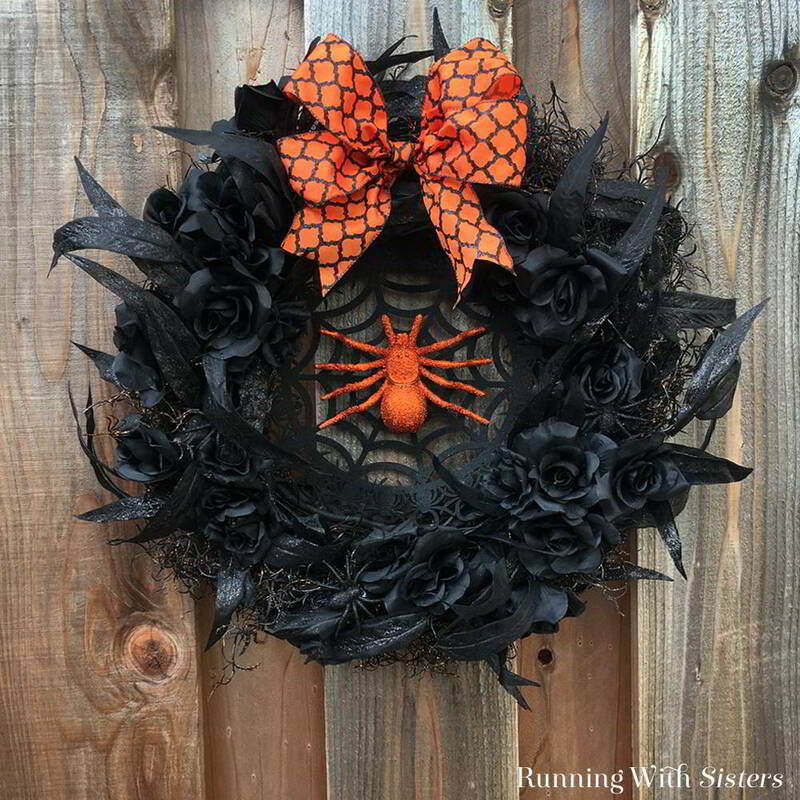 Halloween Spider Wreath! Spooooky! Do you decorate for Halloween? Tell us what you do. We’d love to hear your Halloween decorating ideas.